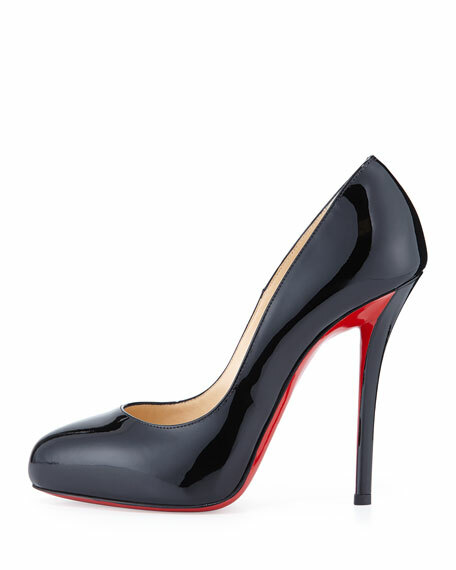 A flash of red peeks from the sides of this patent leather pump in signature Christian Louboutin style. 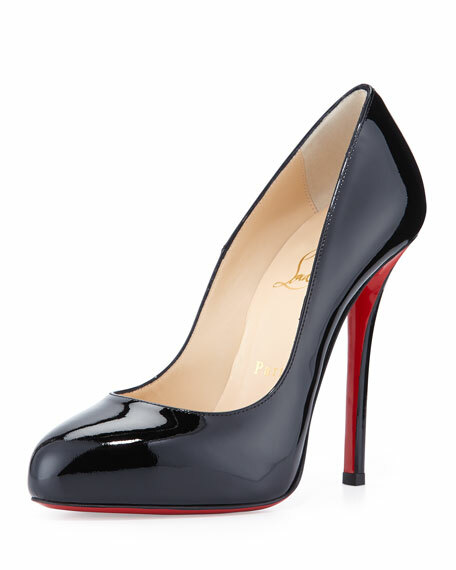 4 3/4" set-in, covered stiletto heel. "Argotik" is made in Italy. 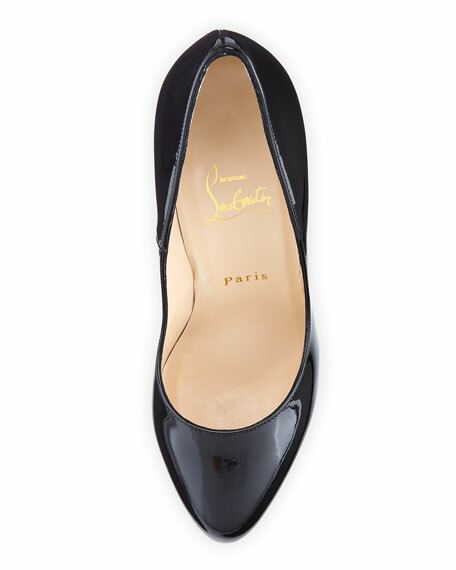 For in-store inquiries, use sku #135153.